Mandy Cady is a full-time Realtor with F.C. Tucker/Malcolm & Schlueter, Realtors. Primarily, she works with clients in and around Fort Wayne and small rural towns south of Allen County, Indiana. Mandy grew up in Warren, Indiana and currently resides there with her children. After graduating from Huntington North High School, Mandy began a career in insurance and banking. Her drive and passion for helping others has always been first and foremost in her life. 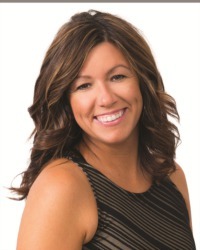 Because of her background and love of serving people, the transition into real estate was an easy choice for Mandy. Mandy's love has always been helping her clients. By offering excellent customer service, she makes the buying,selling, or building process as stress free as possible. Attention to detail and organization are strengths of Mandy’sand help to make each transaction as smooth as possible. With Mandy’s help, you can get your dream home! Mandy was so nice, professional and helpful throughout the whole process.